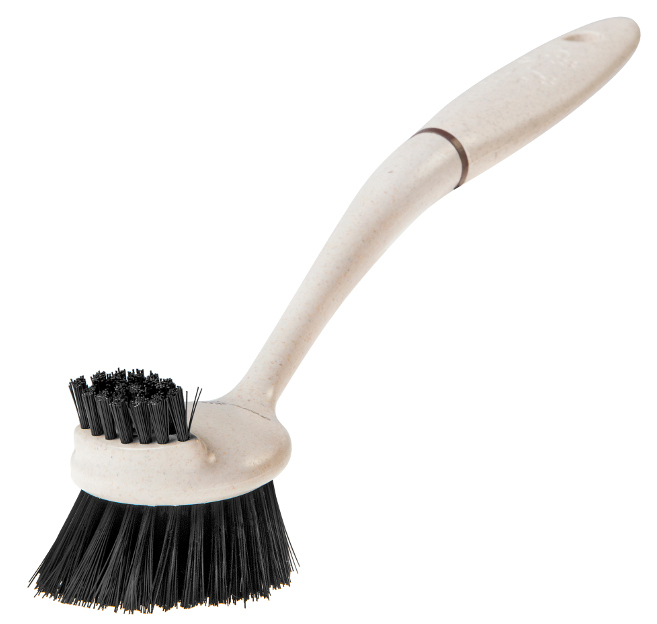 This high performance and environmentally friendly dish brush has durable brush fibres and is a great way to clean all types of dishes, pans, glass, ceramic and plastics. Made from 100% wood pulp and recycled plastic with fleck finish detail. 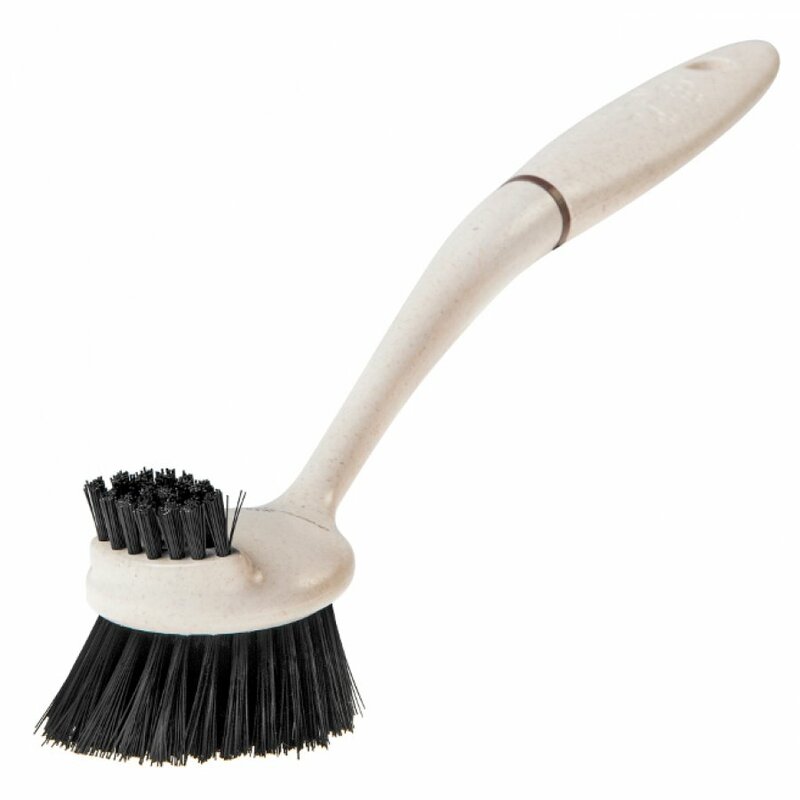 The brush is dishwasher safe to 120°C and has a hanging hole for easy storage. The Greener Cleaner Dish Brush - Cream product ethics are indicated below. To learn more about these product ethics and to see related products, follow the links below. Q: Please tell me the composition of the bristles. Q: I know its recycled but is the brush recyclable after it has reached the end of its life? A: Hi there, Many thanks for your query. Yes, all Greener Cleaner products are recyclable. I hope this helps.